Taste, who head the lineup at the Nottingham Festival this weekend with Family and Mungo Jerry, are upset at the fact that Major Minor records released a three-year-old Taste record "Born on the Wrong Side of Time" this week as a single. 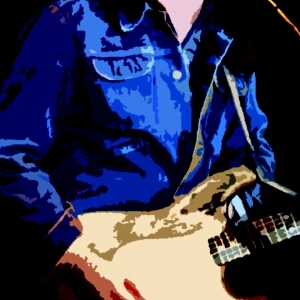 Said Rory Gallagher, lead guitarist with the group,who now record for Polydor, "We are most concerned at the release of this record and want to forcibly get the message to all the people and like our music not to be conned into thinking that this is a record by Taste as you know them." Added the group's manager, "It should be made absolutely clear that, although we have no real objection to Major Minor putting out the single, this is not the Taste as they are today or have been for the past two and a half years.". "This record is by the old group led by Rory some three years ago, and is totally unrepresentative of anything the group have done since the present lineup was introduced." Also it is pointed out that the title, "Born on the wrong side of Town" is in fact incorrect. The number is a very early version of the Rory Gallagher song, "Born on the wrong side of time", which is on the group's first album on the Polydor label. Francis Bears, Major Minor's press officer, told the MM, "I would not agree that we were cashing in on the groups presents success." "We had a good record two years ago when nobody wanted heavy music. Now they all do." "The title is given as "Town" because the recording company found this was the way the copyright protection society already had the song listed."